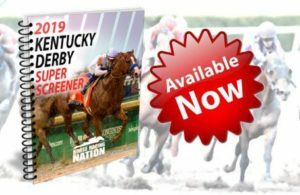 The Super Screener’s early Kentucky Derby pick, War of Will, ran one heck of a race here. Note that the next 4 finishers were the last 4 horses in the field during the early going, indicating that this was a pace collapse race. Yet, War of Will pressed and won easily once again. 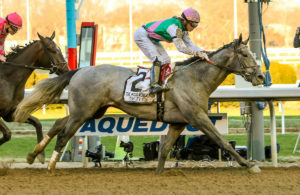 Country House, once again, broke slow and then failed to keep a straight line while coming on strong in the stretch, requiring Luis Saez to yank him to the right to straighten him out, which caused him to lose precious ground. Tons of talent… just needs to pull it all together. The Super Screener did not give up on Roiland and once again proclaimed him to be a Top Long Shot player from among the 11 long shots in the race. He closed with a rush to grab third place at monster odds of nearly 70-1. A suggested Trifecta paid $336 despite the chalk finishing 1-2. Can not make sense out of this finish at all. Only expected outcome that came through was the fact that Gray Attempt would falter as one of the favorites and he, indeed, finished last. Otherwise, nothing else made sense in this race and it was certainly the chaos race that was anticipated… just not the upset players that the Super Screener had isolated. There was no question about whether or not Serengeti Empress was fit enough off the layoff, as she just crushed this field, dictating a much more modest pace than what she was a part of in her last couple of races. The Super Screener pegged Eres Tu and Street Band as very viable long shot players to hit the board, which is exactly what they did, finishing 3rd and 4th at odds of 25-1 and 17-1, respectively. “#8 Eres Tu is dangerous here at a big price. 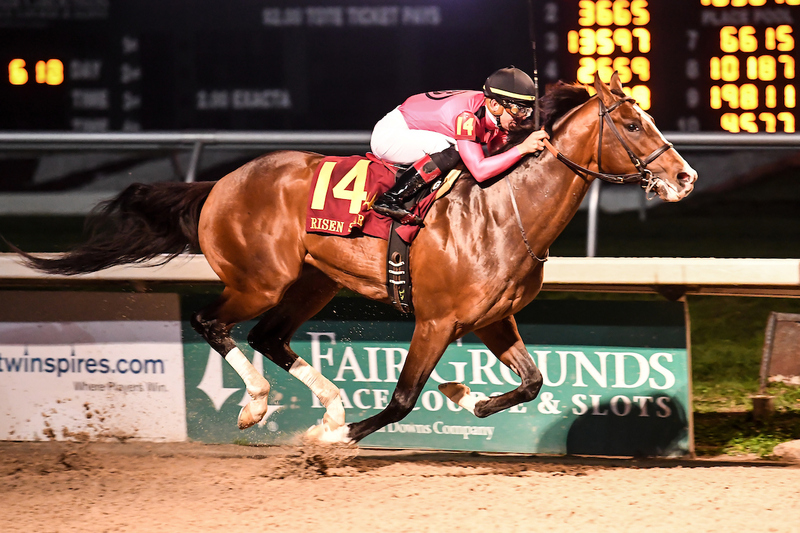 This lone deep closer in the field was compromised by the soft pace set ups in her last two races and particularly in the slow-paced Silverbulletday Stakes in which she, arguably, ran the best race of the others that ran with her and are also entered here. She’ll get plenty of pace pressure up front and she’ll start her big run as they turn for home while continuing on with energy passing a lot of tiring fillies. A very logical board hitter at a more-than-air price. Liora spoiled the party some as trainer Wayne Catalano wanted to scratch her from this race (not a positive signal) but decided to run her. She surprised finishing 2nd at 23-1, knocking us out of some juicy Trifectas as we had used #8 Eres Tu as a single on the bottom of Exotics. Bandua was the lone Super Screener Top Long Shot pick and he nearly pulled off the massive upset at 35-1, but was collared late by the Super Screener Top Board Hitter pick, Synchrony. Bandua was a strong conviction long shot pick. The Super Screener’s strong conviction win pick, Third Day, was forwardly placed and then inexplicably shuffled back before coming on again to miss that show spot by a neck. We needed him to hit the Exacta to have any chance of cashing. The Screener’s 4th and 3rd ranked horses, respectively, completed the Exacta. Flameaway, who had been away since August, returned to run a decent third off that long layoff. We are coming up on one of those very thin stakes weekend that populates the calendar now and again. We’ll focus on using races with some playability even if it requires dipping into the allowance ranks. 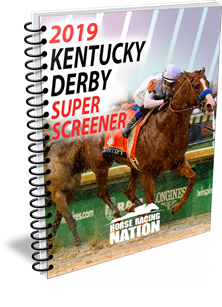 Next Story → Super Screener Tickets Cash Big at Santa Anita, Gulfstream!